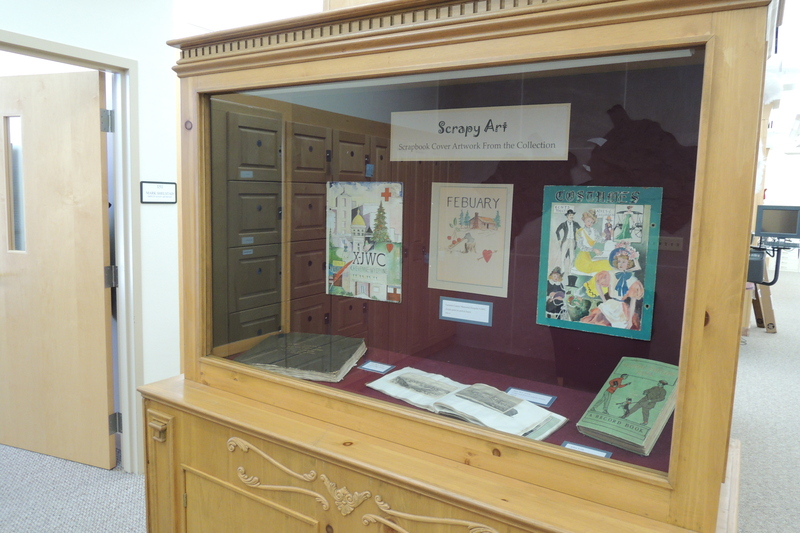 It’s that time of year again…time to refresh the display cases in the Reading Room! This time we are indulging in our artsy side, focusing on scrapbook cover artwork from the collection. 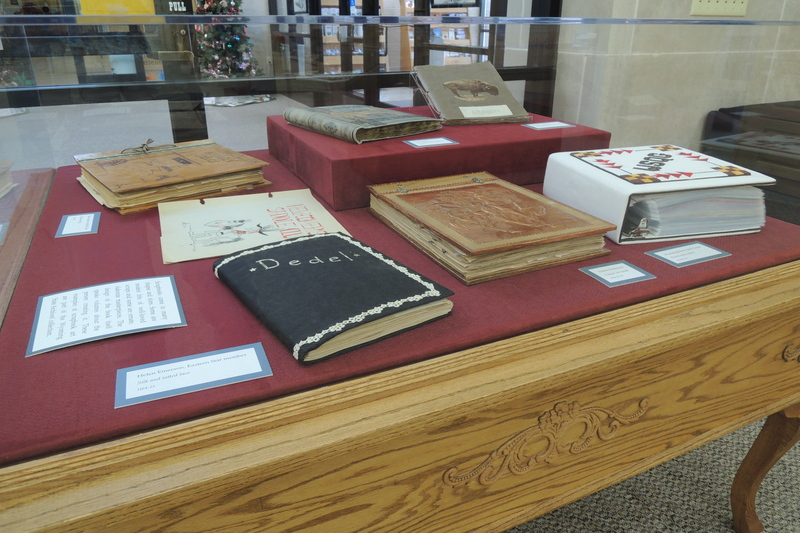 The display includes examples of painted covers, fabric and handwork, commercial books and even wood and copper. They represent individuals and clubs from around Wyoming, each one as unique as its creator. Be sure to check them out next time you are in! We have our first exhibit up in the new case! 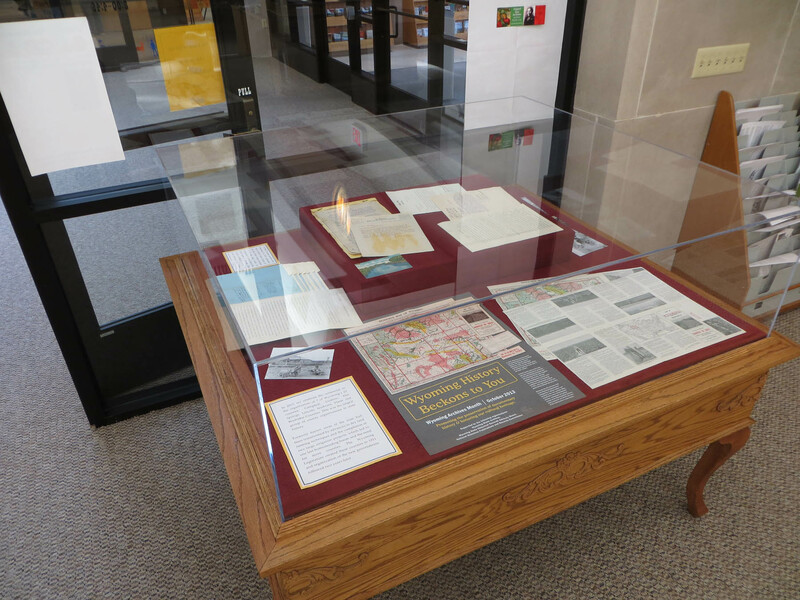 In honor of Archives Month and the centennial of the 7 counties’ organization, the display features materials related to the creation of the counties, irrigation and dry land farming. Stop by and see it when you come to hear Dr. Phil Roberts’ talk on the 24th. For those of you who can’t make it in or who would like to know more about the items on display, we will be highlighting some of the items each day next week, so stay tuned! 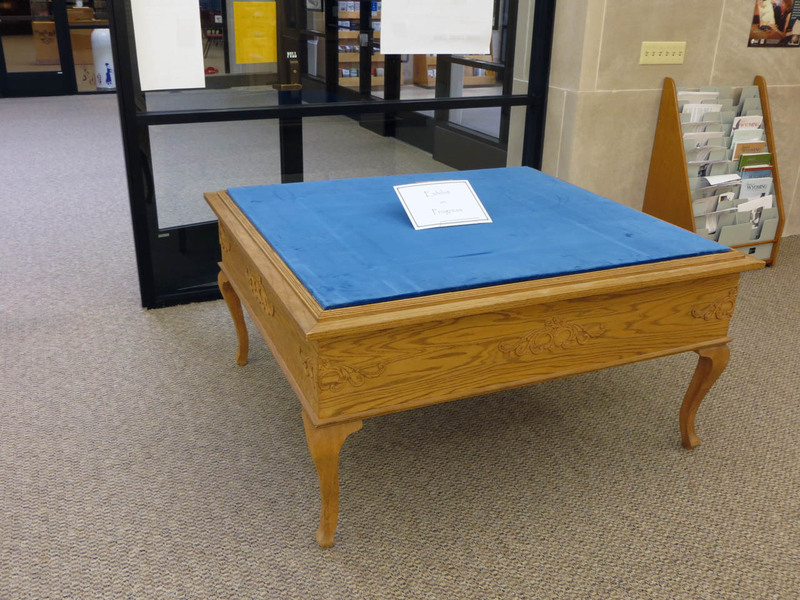 If you’ve stopped by the Archives in the last week, you’ve probably seen (or tripped over) the latest addition to the Reading Room. 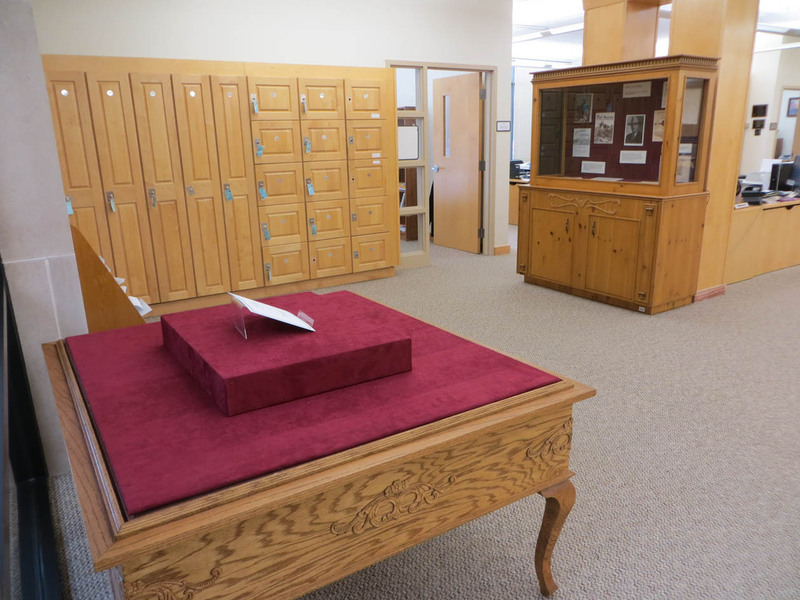 While it may not look like much right now, the case will soon give us a snazzy new place to show off records from the collection. The case has had quite a bit of experience displaying treasures before it came to us. Originally built to house a shoe exhibit in the Wyoming State Museum, the case most recently held the beautiful USS Wyoming silver service before the silver was moved to a built-in case. After a couple of years in storage, the case needs a little TLC, but we think it will be a wonderful new complement to the small case we currently use. The new case will also give us the opportunity to display larger items that didn’t fit well into the old case, like maps, albums and ledger books. Airing out the new fabric. 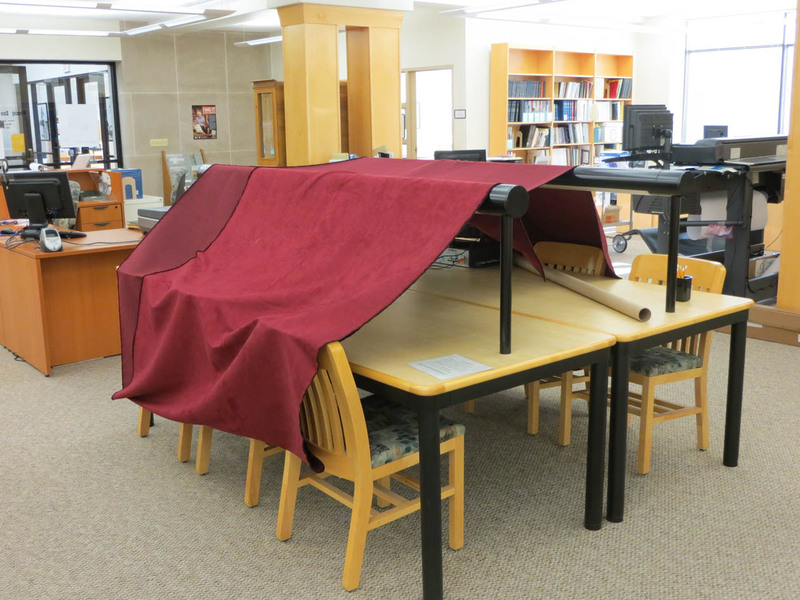 Whose up for camping in the Archives? To spruce it up, we’ve polished and oiled the base, purchased a brand new Plexiglass vitrine (complete with a UV limiting coating, of course) and some beautiful new fabric to replace the blue velvet. But all this newness could spell trouble for the documents on display if we aren’t careful. New materials tend to “off gas,” or give off fumes that are potentially harmful to paper, especially in an enclosed box like a display case. Over time, the fumes subside, so we are giving the new materials a bit of time to air out before installing the exhibit. We’ll keep you posted on the progress, so check back soon!